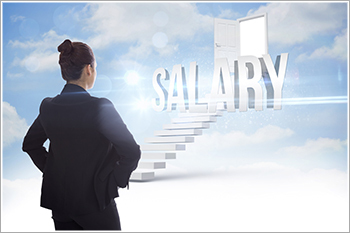 How to read and understand your salary statement? Here’s a quick guide on how to read and understand your salary statement. After a long, tiring, exhaustive month of working, doesn’t it feel good when you finally receive an SMS saying ‘your salary has been credited’? It is really a delight to finally have money but has it ever happened that what you got is lesser than promised to you? Your first instinctive step in such a situation is to check your payslip. It would have a detailed breakup of your salary along with all the deductions and other details. But, for that, you need to understand your salary statement yourself. If your salary statement looks like a collection of jumbled numbers to you, fear not. Not all companies might follow the same format for their statement but some of the basic sections do appear in most of them. Basic salary: This is one of the most important of your salary since it mentions 40-50% of your annual CTC. This amount is a 100% taxable amount and therefore the higher amount in this section, the more tax you need to shell out. House Rent Allowance (HRA): This is applicable for those staying in a rented apartment. This section would dedicate 40-50% of your basic salary towards your house rent. However, you can also claim tax it. The options for it include either 40% of your basic pay or actual rent minus 10% of basic pay or the HRA component as mentioned in the salary statement. Leave travel allowance: This covers the travel expenses of the employees and immediate family members while they are on leave. This only consists of the transportation costs to and fro your destination and not the other costs such as boarding or food. It can be claimed on the presentation of valid receipts of travel and are also subject to tax exemptions under certain conditions. Medical allowance: This section mentions the amount approved by your company for your medical expenses. These could be claimed once you submit valid bills against it. A maximum of Rs. 15,000 is also exempted from tax for this purpose. Other allowances: Other allowances are those that might your specific or industry. These are usually taxable and therefore you need to consult your employer about what kinds of benefits are available under this section. Besides these, there are other deductions such as the provident fund, professional tax and TDS as well that employers do tend to deduct from your salary. Some employers even add details regarding commutation, accident insurance and health insurance in their employees’ salary statement as well. This would help you understand the maximum tax calculations and also choose a better opportunity for yourself. So next time, ensure you spend a while reading and understanding your salary statement to know what and how much you earn.